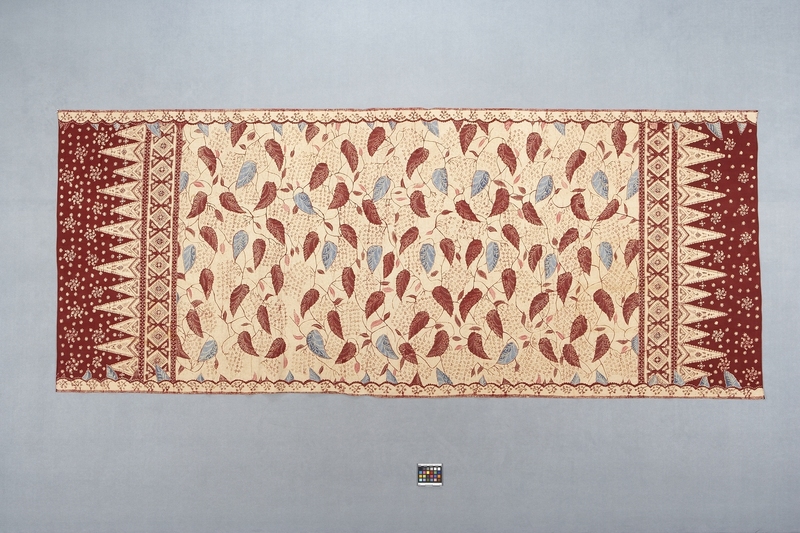 Item number 1284/4 from the MOA: University of British Columbia. 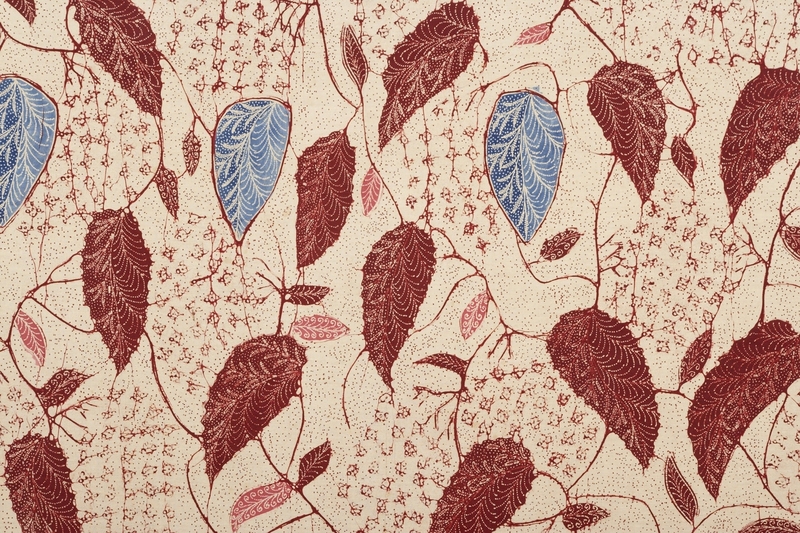 Batik textile of red, blue, and pink leaves, with red shapes between on neutral background. Bands of geomtric shapes near ends, triangles of different heights, and white flowers on red background. Border along edges with scallop design facing in and smaller red shapes.